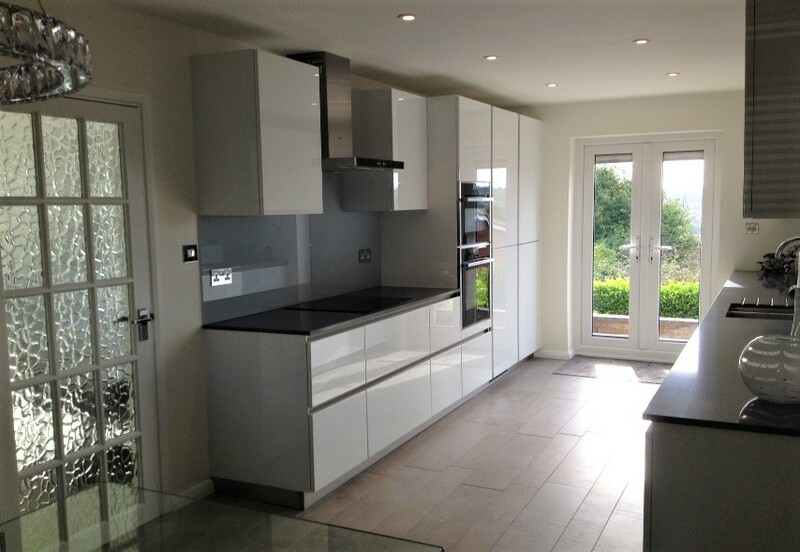 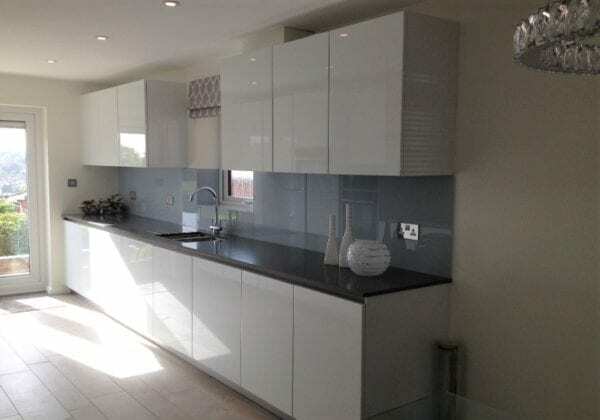 A C Range kitchen in Crystal white high gloss lacquer finish. 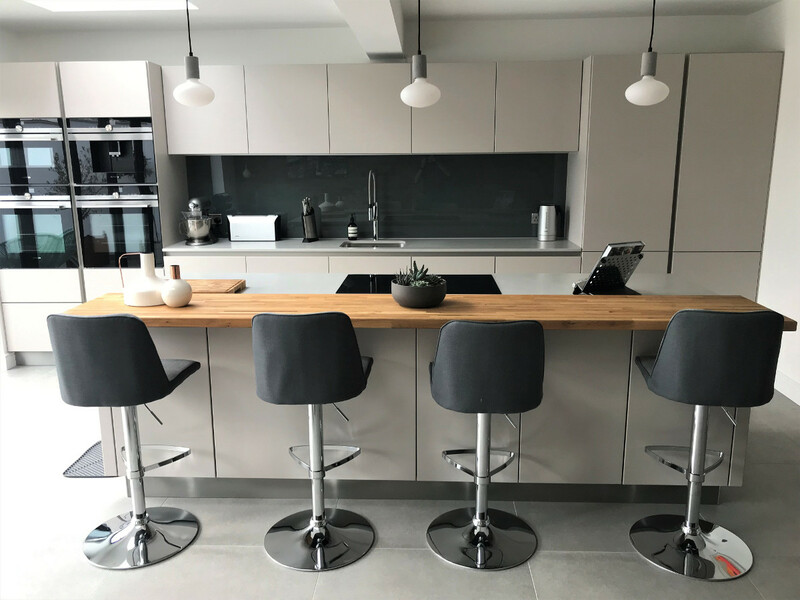 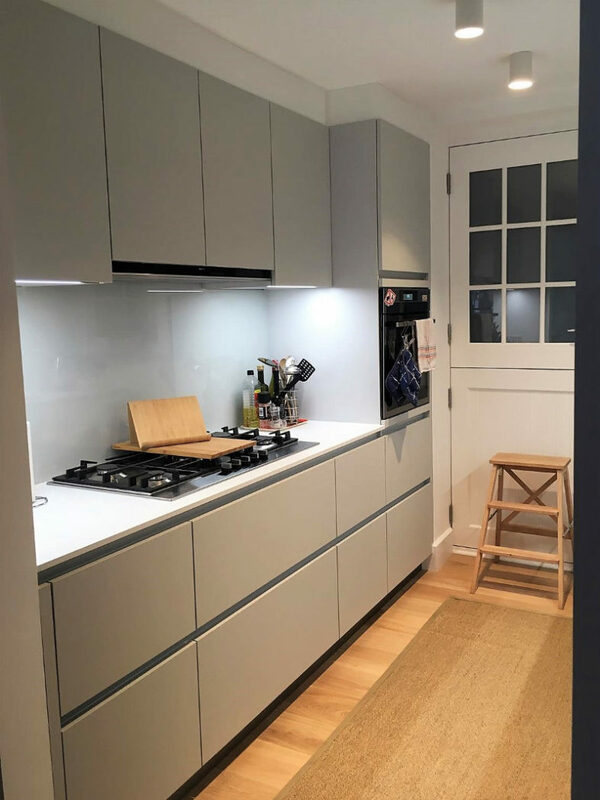 The worktops are the customers own, the toughened glass splashback is in subtle pale soft blue. All the wall units are 780 mm height, with the sink run of wall units lowered fractionally from standard height to accommodate the boiler.